Or when the ibus system was introduced on the 33 it kept on announcing the announcements from the opposite end of the route. It was around at same time that the ibus announcement went bonkers on Volvo 9073 on the 152. Once in a while it would announce all the future stops even if the bus was still stationary. 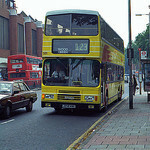 I remember taking the same bus back home later that day to see that the announcement system was switched off. 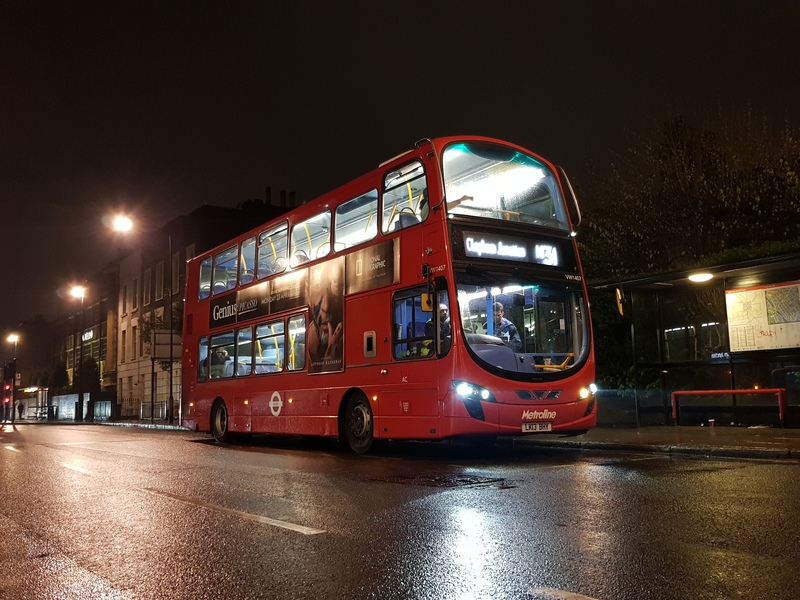 I sometimes hear stops from the Woolwich area on the 507 heading towards Victoria. I can remember once the announcements were quite loud. The system announced London City Airport and a bunch of tourists began to hound the bells. Also, I had been on a 220 last year and instead of "220 to Wandsworth", we got "220 to SkellgillHammerNorthPolSheperdWorthCentre". I propose we rename Wandsworth to the name in bold - far more interesting. 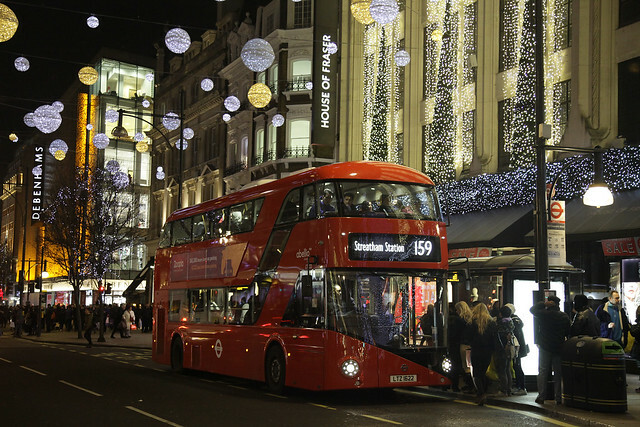 Mass of turns and diversions in Central London today - 19, 38, 23 and 453 running via length of Oxford St. No 159s running westbound on Oxford St - I assume they were running oos to Marble Arch as buses were running east. 13s, 94s and 6s turned at Oxford Circus - the stand used by the 189 and 137 was jammed solid with buses this afternoon. Amazingly Oxford St did manage to keep moving but I think that's only because Sunday service levels were being operated. It would have jammed solid if more frequent services were being run. It's possible Marble Arch-bound 159s may have been diverted via Green Park, Hyde Park Corner and Park Lane. They have used that diversion before for one reason or another, eg. northbound closure of Regent Street. It's possible Marble Arch-bound 159s may have been diverted via Piccadilly and Park Lane. They have used that diversion before for one reason or another, eg. Northbound closure of Regent Street. Doubtful because Whitehall, T Sq, Lower Regent St and Piccadilly were all closed for NYD parade. It took much longer than I expected for things to even start to revert to normal. I suspect passengers were kicked off at Lambeth North and buses ran oos via Lambeth Bridge, Victoria and Park Lane. Not denying that the diversion you quote is used on occasion. As an aside I helped a woman who was looking rather cross waiting at a stop near Oxford Circus. The stop is signed for "buses terminating here" and "buses on diversion stop here". She quite reasonably assumed that buses being diverted, like the 159, would stop there but, of course, they weren't. Interesting how words that undoubtedly mean one thing to TfL people completely confuse members of the public. As she was happy with either a 137 or 159 I pointed her in the right direction for a stop for each service so she could get home. 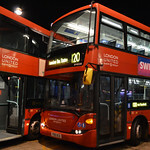 One of the ex-Metrobus OmniDekkas on the 474 has the "to" part of the route number announcement as "Pickford Road" (which is near Bexleyheath Station) . 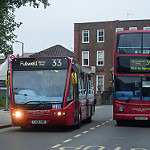 And I'm certain one of the B9TL's recently had a couple of stop announcements in East Ham wrong as well. Ah, that's 944. I was onboard that bus earlier today actually. It's possible the 159 may have terminated at Lambeth North as you suggested, however it may have also continued in service via the 'oos' routing you mentioned to Marble Arch in effect providing a loop service around the Central London closures (possibly returning via Tottenham Court Road, Aldwych and Waterloo to Lambeth North back to line of route towards Streatham). Oh dear someone's backside will be being kicked. Botching the fares revision is a "no no". I assume the new fare tables have failed to load in some way preventing the processing of transactions at readers or there's a central system issue preventing data going back.